Posted on July 29, 2014 July 29, 2014 by Debito Arudou Ph.D.
Hi Blog. This case you might have heard about already, but in terms that Debito.org has talked about for decades, there are no surprises here: A “Japanese Only” Japanese restaurant has been discovered turning away “foreigners” in a foreign land — India. Well, turning away all “non-Japanese”. Because, you see, “Japanese” is not a function of nationality. It’s a function of racialized tribalism. In other words, no matter where you are in the world, under Japanese binary sensibilities, there are two types of people: Japanese and NJ — not Japanese and “foreigners”. Overseas, Japanese technically become foreigners. But not in exported Japanese contexts such as Japanese restaurants. So again, Japanese society’s exclusionary view of the world anytime, anywhere, becomes perfectly understandable when looked at through this binary rubric. The hotel makes no bones about it. 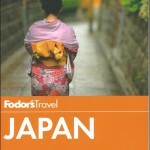 Its website categorically states: Located in Bangalore, we are a hotel exclusively for Japanese. Situated on Langford Cross Road in Shanthinagar, Hotel Uno-In, which also houses a Japanese rooftop restaurant called Teppen, has a policy of not allowing access to Indians, or for that matter, any other non-Japanese nationals. Adjacent to the KTM showroom, Uno-In started two years ago with the sole aim of catering to Japanese nationals visiting the city for work or tour. It’s clear the hotel is not eager to advertise its presence as a hand-painted sign on the mouth of the road is the only giveaway to the place situated at the cul-de-sac. Based on an incident (we will come back to it later) that happened a few months back, these reporters visited the hotel with a colleague and got a first-hand taste of the discriminatory attitude. The moment they stepped foot into the lobby and expressed a desire to have lunch at the hotel’s rooftop restaurant Teppen, they were told ‘Indians’ were not allowed. Below is a transcript of the recorded conversation that took place with Nic U Iqbal, MD and CEO of Nippon Infrastructure which runs the hotel. BM Reporter: Hi. We are here for Teppen. Hotel Staff: Yes, but only Japanese people allowed ma’am. No Indian people. Reporter: No, we were not told that. A friend of ours recommended the place to us and said it has amazing Japanese food. Hotel: Hi, I am Nic. This is a dedicated place for Japanese people alone. Reporter: No, but we heard so much about this place from our Japanese friends. Hotel: I know but we really don’t do that. It is really hard to maintain the quality system and we just have Japanese corporate people visiting us. We are the Nippon group and we have tie-ups with our own Japanese companies. Their people come to us. The entire hotel is for the Japanese alone and we don’t entertain anyone else. After about five minutes of cajoling, we were allowed in with Iqbal stating, “I run the whole show so you can go in as my guests.” The afterthought of a welcome seemed to be directly linked to the absence of any Japanese guests (and hence no one at all) in the restaurant. She says when they sought an explanation, they were told Indians demanded Indian and vegetarian food. “We have heard about many more such cases from our Japanese friends in the city,” she said. The ‘rights of admission reserved’ rule is in the realm of ambiguity at best. When we asked the Bruhat Bangalore Mahanagara Palike (BBMP), the issuing authority for trade licences, about how far an establishment can go in its ‘right of admission reserved’ rule, the officials had no clue. ”We have never come across it till now. We issue licences, check if the health, safety and cleanliness standards are being maintained. Nothing beyond it,” said an official. When Bangalore Mirror contacted Uno-In’s Iqbal for comment, he said they had no qualms in admitting any customer, but they mainly catered to the needs of those residing in their corporate houses, mostly comprising the Japanese. “It is not a walk-in restaurant which is why we haven’t even publicised it as a restaurant. We do not have the infrastructure to function as a full-fledged restaurant which is why we have limited it to only Japanese delegates. And we do not entertain anyone else apart from Japanese people. However, if people come and request to have a Japanese meal, we do not mind catering to their requests.” That, based on experiences earlier by some Bangaloreans and the reporters is bunkum. So how does this exclusively-for-Japanese restaurant look inside? Teppen, an open-air cafe on the fourth floor of Uno-In, exudes the air of an office cafeteria. Since we were the only customers — and Indians at that — the staff was initially a touch wary but eased up after we returned their bow and smiled. The menu carried just the Japanese names of the dishes which is understandable considering its clientele. A waiter pointed out the chicken items, and even a vegetarian dish, he thought we may prefer over-fried pork with the skin on. As we had heard of Daikon (radish), we decided to order that hoping it might be served with a dressing of vinegar and sesame. But the bowl of raw, shredded radish placed in front of us was unseasoned. We, thus, sincerely apologise if this isn’t Japanese etiquette, but we doused it in the soya sauce placed on our table to alter it to suit our palate. What we could make out was that most items on the menu were set meals – essentially a protein served on a platter with rice, miso soup, pickled cucumber and raw vegetables. It suffices here to say that we left with the knowledge that we had got a taste of authentic Japanese food. For what it’s worth, the fried jumbo shrimps enveloped in thick hot and crispy batter and the miso soup with tofu cubes went down well, but if anybody wants to have sushi, they will need to come here for dinner as they aren’t available at lunch. A ‘Japanese only’ hotel, which allegedly did not entertain Indians and other foreign nationals in its restaurant, has been closed down by the Greater Bangalore City Corporation (GBCC) on charges of racial discrimination. The Uno-Inn Hotel – set up two years ago in central Bangalore by a local entrepreneur in association with the Nippon Infrastructure Company to cater to the growing number of Japanese visitors – shot to limelight after it allegedly stopped Indians, British and Africans from entering the roof-top restaurant. The 30-room hotel and the restaurant were meant exclusively for Japanese tourists and businessmen visiting the city. Last week, a few Bangaloreans, who decided to try out the Japanese restaurant at the hotel, were shocked when they were reportedly informed that they were unwelcome there. This shocked the locals, who duly brought the matter to the notice of the GBCC. Recently, GBCC officials visited the hotel and detected various violations by the management. Consequently, the GBCC locked 10 out of the 30 rooms of the hotel and issued a notice to the hotel to comply with the local laws. But the hotel management contended that Indians and other foreign nationals were welcome at their restaurant. The GBCC is not authorised to initiate any action against the hotel management for its alleged racial discrimination, and only the law enforcement agencies were entitled to initiate action against the hotel. Its a bit like Highlander, they think there is sacred ground for them! In that Japanese restaurants become scared ground, a homage to Japan, obeying their own racists rules of Japan outside of Japan solely for the Japanese. Jerks…! We must kick them out of India and their business ! Pure magic and this guy probably considers himself a well traveled open-minded Japanese liberal. It’s just shows how large the gap is between the Japanese narrative on race and racism and the one being held elsewhere. There is no empathy and when empathy is lacking, experience is the best teacher. An encounter with a few exclusionary notices of ‘No dogs, No Asians’ on his travels,would probably get the message through to this man and his type, but I wouldn’t hold my breath because he probably doesn’t think of Japanese as Asians. And that’s why from my experience traveling around Asia that I Think that these other developing countries have more advanced and progressive views against discrimination compared to Japan. This kind of thing happens in Japan everyday but the authorities just turn a blind eye to it or just don’t care but when it happens to a Japanese overseas then its front page news. The irony of it all! Unfortunately, this article in Japanese is nowhere to be found (outside of 2ch or blogs). I’d love to hear what the Japanese would think about an Indian restaurant in Tokyo only allowing in Indian business people. In addition to Scipio’s comment, I think it’s a perfect example of the Japanese attitude that NJ should be ‘controlled/handled’ by Japanese ‘minders’ (even outside of Japan! ), and this isn’t so much a case of ‘an internationally minded Japanese’ being shocked by discrimination, but rather IMHO, a case of a Japanese ‘handler’ being shocked that his self-perceived status as such was over-ruled by the establishment! How dare they! He is not shocked by the policy discriminating against his Indian guests, he is shocked that his power to control his Indian guests is not being recognized! #2. The actual review of the food. Bullseye! The sad fact is that whilst Japanese ‘food culture’ is seen as being chic and sophisticated (Michelin guide, anyone? ), and has World Heritage status (whatever that is supposed to mean), the review of the food makes clear an interesting point that is often overlooked; Japanese food is unimaginative and tasteless! Sushi/sashimi=Vietnam (ancient cultures of the Mekong Delta, to be precise). Tempura= Portugal (along with muskets and Christianity). Green Tea= Korea (with Buddhism). I could go on all day. The point is that Japanese food- real Japanese food- was always tasteless and dull (provided you could have gotten enough of it, in sufficient variance to avoid starvation, and the many plagues that ravaged Japan until the Meiji era and it’s imported western foods (Beikoku, anyone?) and medicines). The proof of this, is that if you go back to Heian era literature, written by the wealthiest people in Japanese society at that time, at a period when Japan’s international relations were extremely limited, no one ever, EVER talks about food. No special dinners. No seasonal dishes. No eating at parties. The elite of Heian J-society never write about some tasty thing they ate. Given their propensity to gush over all the other trivial experiences in their lives, their failure to do so over food is the most compelling evidence that really traditional Japanese food was tasteless and unenjoyable. — And I think it’s a hard sell to say that Japanese food isn’t all that good (or claim that if it is good, it’s not REAL Japanese food). Especially grounded in the fact that one off-the-cuff restaurant review found that one Japanese restaurant didn’t live up to the reputation of one unseasoned reviewer. I think we should focus on the exclusionism, not the alleged lack of good taste. Let me guess. They gave it a try in India because they might have a similar standard on race/ethnicity–unlike many European countries. And they can’t do that in Hawaii. See what it happened. This is just dumbing us down. It seems to me that this was a facility aimed at workers on business trips from associated companies. I mean, think about it – a hotel in Bangalore that restricts its customers so strictly? That’s a completely impossible business model. It wouldn’t work without Japanese keiretsu-style collusive relationships. Honestly, I don’t think they were being racist as much as they were being stupid. It sounds like a few companies wanted to build a dormitory for their salarymen to live in while in India – but instead of calling it a “dormitory,” they called it a “hotel.” That’s the Japanese model – even though your company is wholly reliant on another company, you still call it a separate business. Because, as many of us know, many businesses in Japan aren’t actually businesses in the traditional sense – they are directly connected to some other company, and derive their profits entirely from that relationship – they don’t do “business” as much as they cater to a very specific company’s needs and no one else’s. It doesn’t make the situation any better, of course, because here are people smart enough and rich enough to build their own damn hotel in India, yet they are too stupid to look into local laws and customs? Too stupid to realize that collusion and such are illegal in the civilized world? Then again, Japanese businessmen don’t always fully understand local business rules – look at Bridgestone in America – they attempted to use the Japanese model in America, and they are being punished severely for it. Same thing here. So, yeah. I mean, I don’t think they banned NJ out of spite or racism. I think they never intended to be an actual business open to the public in the first place. Then again, as Debito points out, the mere fact that they thought they could ignore local customs and completely follow their own rules in another country does reflect a very self-centered, racist view. Also, I just spent a lot of time on Japan Times’s comments sections with people talking about “If you don’t assimilate into Japanese culture, then just go home!” Um, gee, well, now the shoe’s on the other foot – are Japanese people going to bother to assimilate into other cultures? NO! Of course not! I see myself as absolved from any responsibility to do so here. And, yes – we really need to see what happens when a business in Japan does this to Japanese people. Seriously. — If it’s merely a converted dormitory in all but name for some keiretsu, then why the restaurant with a menu? Not convinced. It’s a hotel. — Yes, we’ve talked about it before. Japanese people on business trips in India made an oasis – where they could eat their native food, stay in a hotel without locals or other tourists. But the bottom line is, they DID NOT WANT TO SEE NON-JAPANESE customers (Indians as servants/staff are ok). All the “details” you suggest are fog. Question: how, I wonder, were half-Japanese, half-Indian people treated? Were they allowed in? Debito – what are the chances of making a restaurant that excludes Japanese? Even if only for a month? I really think the masses need a taste, to feel the insidiousness of such exclusionary establishments. Great post. the J-masses have a long way to go still…..
PS – Here’s a still alive JapanTimes link about this Yukio Okuhama case, and his homepage says the rule remains: Non-Japanese Only. Although my previous comments noting that Japanese food is not cooking per se, as that involves the introduction of heat, to be called cooking, was removed for some reason? Its ostensibly raw produce that is arranged in an artistic manner….its more art than food/cooking. — Whatever. Semantics. Japanese cuisine however defined is great food. Again, let’s focus upon what’s at issue. What is rather ironic about all this is how racism is viewed by others and being compared to other countries. For example there is a world map of racism, data initially conducted by the Washington post and reproduced here in the UK newspaper*. The irony is that the least tolerant country is India (>40% intolerant to others) however, Japan is considerer to be in the 5-10% most tolerant! Japanese Imperialism- this is a continuation of the “concession” mentality in e.g Shanghai where no Chinese were allowed. If India wants to cede territory to Japan, like an embassy, that is up to them, but this is a restaurant trying to up themselves to embassy status- oh the arrogance! It is certainly in tune with the Abe inspired Zeitgeist though. How very 1930s. And its tight fisted (ketchi). Once again a Japanese organization wants special treatment but isnt willing to pay for it. By this I mean they want an exclusion zone, a Japanese sovereign territory ceded to them on the sly, but aren’t going to pay for it, they just expect it. Oh, their sense of entitlement knows no boundaries and no shame! I didn’t explain clearly. This is very hard to put into proper words. I don’t think they ever meant to be a non-Japanese business – that is to say, they probably wanted to do things Japanese style from day one without any regard to Indian business rules, laws, manners or ethics. Like I said, basically keiretsu-style cronyism. I’m not apologizing, though, because I’ve worked with Japanese businesses, and keiretsu disgusts me, and even the more traditional “family business” style of networking is inefficient at best in my eyes (there is little accountability and little ability to interact with foreign markets with the people I work with). I guess what I’m saying is that it feels to me like they thought they could do Japanese-style closed-loop business, and the “no foreigners” was more of an afterthought. Like the management thought that the simplest, easiest way to express “this is a closed-loop business and only people in the loop are welcome” was to just slap “no foreigners” on it. But that’s still not an apology for them – because even if they weren’t trying to be racist, they still absolutely were. I guess I’m just saying that there are TWO possible ways they were being racist here, not just the one. The Okinawa Sushi restaurant can’t really be condoned, but also can’t be compared IMHO. The owner is still Japanese. Thinking of Okinawans not being “real Japanese” as a way to discriminate doesn’t seem to be widespread anymore, especially since China has voiced claims that Okinawa is more Chinese than Japanese. A sort of “Heim ins Reich” attitude seems to have made Okinawans more acceptable for the Main-Island Japanese. Nowadays, efforts to rebel against the Main-Islanders by Okinawans seem to be treated like amusing folklore rather than confrontation. A lot of the replies here are making an implicit assumption that this establishment was conceived of, founded, underwritten, owned, and operated by Japanese people. I have no idea what back room deals went on, but nowhere is this stated or even implied in the article. By way of comparison, imagine a struggling banana republic full of picturesque little communities of people who like their peace and quiet and don’t drink much alcohol. The place attracts young Western backpackers, who rave about the place’s charm but complain about there being no nightlife. So some local decides to open a plastic “Irish pub”, set up to accommodate large crowds of drunken English speakers with money to burn, featuring thumping bass and loudmouthery every night during peak tourist season. He hires locals to serve his bulls-in-a-china-shop clientele with unwavering fake smiles, by paying them by far the highest wages in town. He hopes the populace is too desperate for tourist revenue, and the government too corrupt, for him to be forced to shut down, despite the fact that he’s not popular among his fellow townsfolk. This kind of thing happens a lot in many places. People with money and a vice to indulge tend to find (nay, create!) people willing to take their money and indulge their vice no matter where they go. The Japanese-only secret restaurants in New York City are the stuff of legend. They illegally hire Japanese in the US on student and tourist visas, and cater to wealthy Japanese businessmen and gangsters in NYC who want a night of dining where everything is on culturally familiar terms, guaranteed. Most have no signs or names, are word-of-mouth only, and if they’re legal establishments at all, are registered as private, members-only clubs. That’s “doing it right”, IMHO. You can’t keep people and establishments from being exclusive. You can only demand that they make no pretensions of being open to the public or on equal footing legally with places that don’t discriminate. The more interesting question, implicit in all of this: Why is the craving for being among one’s own people exclusively as common as it seems to be among Japanese people? Because that’s what this all comes down to. 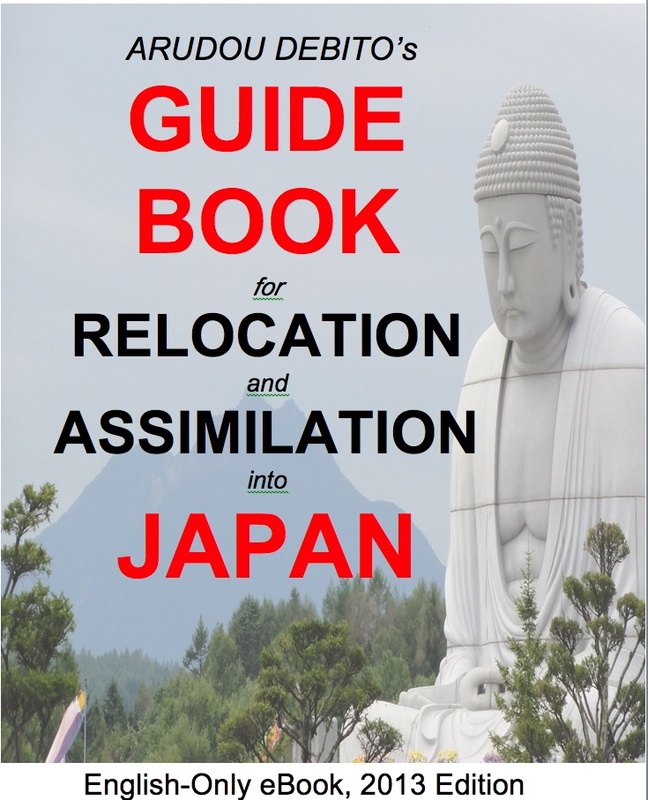 My theory is that the Japanese are unique in being populous and wealthy without ever being forced by history and geography to adapt their homegrown protocols of social interaction to those of other peoples. So they have a highly complex and well-developed set of social protocols, that serve them well and of which they’re rightly proud, but which do not interface smoothly with the assumptions and expectations most other peoples bring to the table when they interact with new people. As such, most Japanese tend to find pretty much all social interactions with non-Japanese awkward, stressful, fraught with unpredictability, and just “wrong” by their sensibilities, even if there is goodwill on both sides. So being able to retire to a homogeneously Japanese environment, when all their gaijin-braving is through, is an acutely felt need. If my theory has any merit, then having never been colonized, and having had the rare luxury of being able to deal with the rest of the world exclusively on their own terms, have turned out to be a double-edged sword for the Japanese. They’ve painted themselves into a corner where they have no choice but to be number one. They can only maintain their indigenous protocols of social interaction, which go resolutely against the international precedents set by the West and its former colonies, by being so wealthy and powerful that they’re unassailable. This is either impressive or pitiable, depending on your perspective. @ Markus, it should be relatively easy for an NJ bar owner in Tokyo or a big city to open an NJs only bar. Better yet, how about a bar for NJs that admits other Asian and Japanese women if they are deemed cute? That might really cause a stir, but maybe it could be presented as ” a place for Japanese women to meet NJ men without feeling the pressure to conform from Japanese males”? After all, its “just a preference” right? Oh, the irony. Actually, come to think of it, there might be a dating agency or two already doing this.And getting away with it. The ironically named http://www.blossoms.com/ comes to mind. Though perhaps they allow Japanese males too. Not really, like I say, even since the early 90s I used to hold up Okinawa as the “Japanese Scotland or Wales”, that is, 2 countries in one state. My students still didnt get it. I just got a stoney faced “Okinawa is Japan” borg mentality- a kind of Falklands are Malvinas, i.e. the TERRITORY is ours by conquest or historic claim, and never mind the views of the people who live there. So FAIL, they didnt get the multi concept of the UK. It was completely alien. 10 years later I tried it again and the best reaction I ever got was bemused puzzlement or condescending smiles a la the gaijin has some quaint ideas, doesnt he? Now I used to know some prominent, older Okinawans who used to insist that Okinawa was in fact a different country. I never really saw both counter opinions go head to head, although Kina Shokichi (diet member and former Okinawan folk rock star) was called a “henna hito” by more conservative Japanese. I say “conservative” but what I mean is postmodern conservative, i.e. those preserving the consumerist hello kitty Japan as western country with unique culture BS, as opposed to those genuinely interested in indigenous culture (i.e. Okinawan folk, knowing what the hell wabi sabi is, etc). 18 – Chester. No. Just no. No explanation will suffice. “Did not mean to be racist”? Isn’t excluding you because of your race, language, appearance, culture, language – the definition of racist?. The Bangalore hotel/restaurant did not say “employees of company X only”. They allow ANY, ALL, and ONLY Japanese. In case your dictionary and moral compass are both broken, I will spell it out for you – this policy is racist. Ugly. 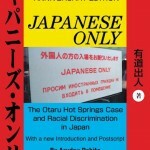 Japanese racism is just plain ugly, leading to all this confusion and pain. So much for Japan creating the great East Asian Co-Prosperity Sphere, as long as Japanese were at the top and the Indians knew their place. Dude, I think you’re misunderstanding me. All I’m really saying is that this may have been an instance of straight institutional racism, not actual personal hatred. Because there is a difference between saying, “I hate foreigners,” and saying, “I will do things the Japanese way.” The racism is incidental to the second one. The thing about it that’s horrible (and perhaps unfair of me) is the implication that the racism is INHERENT in any attempt to “do things the Japanese way.” That the Japanese way ITSELF is racist. But it is a worse indictment of them, not an apology, to say that “Racism was the only logical conclusion of their cultural norms,” and I may even be OVERstating their racism here. Chester – Racism and hate are not sold as a package set. You can get one or the other a la carte. You seem to suggest that since they don’t hate NJ, then it is just, you know, the way things are done, you know, “institutional racism”… and as such, cannot be helped. I have seen this argument taken further: “Japanese are not racist, per se, they are just disturbed by NJ who don’t do things the Japanese way…” This at best is cultural elitism. But I still call it racist. I lived in Tokyo for 7 years. – I was refused entry to restaurants (odd that this usually happened when I was with an attractive Japanese female coworker) that were “closed” even as J customers came and went. There is a reason Japan allows legal discrimination in housing, work, etc.. There is a reason NJ’s human rights are not protected. There is a reason that Japan makes it difficult to stay long term. Long ago, I cared more about the emotion behind the discrimination I encountered. Now I just deal with the situation imposed upon me. Yep, if a person was refused entry or service, the perpetrator deserves punishment, regardless of what the perpetrator claims his internal feelings are. Is there a victim here who is ready to stand up and point out to the jury members the perpetrator who committed an illegal act, and is there proof that the perpetrator did commit that illegal act? If Yes, then dispense the punishment as described in the legislator’s laws. See, I don’t care what words the perpetrator of an illegal act tries to use in an effort to reduce his sentence, I really don’t. I think punishment should be dealt without adding in some “but, let’s not punish him because he acts like the illegal act was done with a good feeling in his heart and he seems to have a nice character in general, so let’s ignore the punishment described by law” feeling-factor. The victims need to see the law being dealt equally to all perpetrators, regardless of what the perpetrator claims to have been thinking and feeling during the crime. And yes, all perpetrators in general need to be punished so harshly, to the full extent of the law, so that would-be-perpetrators are so scared of the penalties being dealt that they decide to obey the law and treat every human equally.